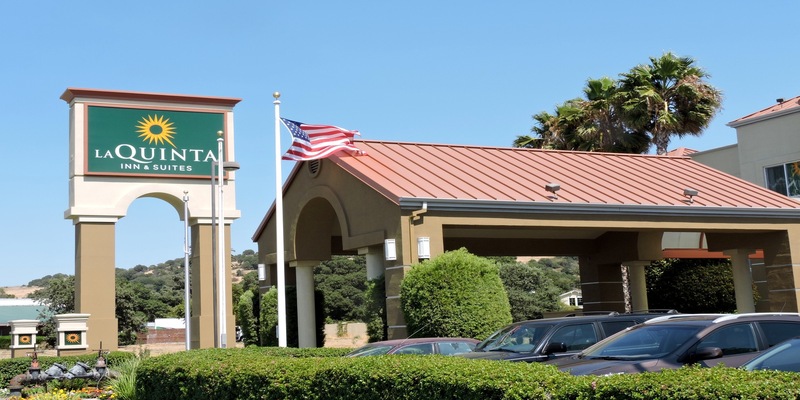 The La Quinta Inn & Suites Hotel is located just miles from Suisun Valley and Napa Valley wine country. This relaxed area is home to more than a dozen sprawling vineyards and wineries, where vino enthusiasts can spend the day strolling along acres of rolling hillsides. Sample the latest releases and signature yields this diverse region offers on your next trip to California's wine country. Hotel amenities include cable/satellite TV with premium channels, free High Speed Internet (wired/wireless), free local calls, in-room coffee maker, in-room desk, individual A/C & heat, microwave, phone for hearing impaired, refrigerator, wake-up call service, bus, parking, business center, fitness center, free coffee, and free full breakfast.